Why Do You Eat Out? Most American consumers want quick, easy and flavorful food. Eating out has become part of our busy everyday lifestyle. The typical American eats more than four meals per week that are not prepared at home. According to the National Restaurant Association, about half of every dollar spent on food goes to the food service industry. Four out of five consumers would rather use their leisure time going out to a restaurant than cooking and cleaning up at home. Young “twenty-something” couples and singles (both men and women), are the heaviest restaurant users in America. They are 35 percent more likely to eat a restaurant meal than the rest of the population, mainly because they no longer rely on their parents, but they aren’t yet parents themselves. Eating out isn’t just about the food. It’s about people and relationships. Full-service restaurants give you a chance to relax and enjoy socializing with family, friends and coworkers. Eating out also allows you to order foods not prepared at home, as well as new foods you’ve never tasted before. Select restaurants that offer a healthy variety of foods and moderation in food portions. Politely ask for items that fit your personal dietary needs (e.g. broiled meat, whole grain breads and skim milk). Ask if the kitchen can change the way a food is prepared, or call ahead before you choose a restaurant. Restaurants are usually glad to know what customers want to eat and are willing to make positive dietary changes but appreciate feedback. Plan ahead so that eating out fits into your whole day’s eating plan and within your calorie range. As you order, think about the foods you have eaten, or will eat, during the day. Make sure they fit into an eating plan that is varied, moderate and balanced for your good health. The more meals and snacks you eat away from home, the greater the effect that food service has on your food choices, health, well-being, and even your weight. Foods eaten in a well-balanced diet contain varying amount of many nutrients: proteins, vitamins, minerals, fats and carbohydrates. No one food contains all the nutrients, but most foods contain several of them. By eating a greater variety of foods, you are more likely to have a well-balanced diet that contains the right amounts of the nutrients you need. 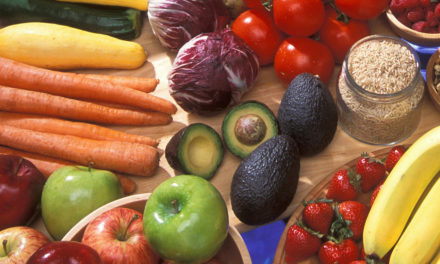 Fruits: Select colorful fruits and vegetables like spinach, tomatoes and mandarin oranges. The pigments that give these foods their rich color also have important health benefits. Vegetables: Choose vegetables from all vegetable subgroups (dark green, orange, legumes, starchy vegetables and all others) several times a week to add fiber and important vitamins to your meals. Grains: Make sure that at least half the grains you eat are whole grains, which are a rich source of fiber and micronutrients. Meat & Beans: Choose low-fat or lean meats and poultry prepared in a low-fat way. Select more protein sources such as fish, beans, peas, nuts and seeds. Milk: Select low-fat or fat-free milk, yogurt and other milk products. If you don’t or can’t consume milk, choose lactose-free products or other calcium sources, such as fortified foods and beverages. It is not easy to eat healthy on a daily basis, especially when you eat out. Here are some ways to lower your intake of fat, sugar, sodium (salt) and calories at restaurants. Food: Choose simply prepared food, such as steamed vegetables or broiled chicken. Some restaurants post their menu on their web site, allowing you to plan ahead and make wiser food choices. Many restaurants offer varied menus and lower-fat options. They also will prepare food for special diets if the order is faxed or called in ahead of time. If the menu description is unclear, ask your server how the food is prepared. Order à la carte, which means that each item is separately ordered and priced. If food isn’t prepared the way you ordered it, send it back and request something else. Avoid cream sauces and foods that contain a lot of mayonnaise, cheese and sour cream. Appetizers: Share an appetizer with one or more people, or substitute an appetizer portion for your entrée. Eat clear broth-based soups with lots of vegetables. Limit cream-based soups, including healthy-sounding soups like cream of broccoli. Other lower-fat, lower-calorie appetizers include a fresh fruit cup, seafood cocktail, 100% vegetable and fruit juices, marinated vegetables, and raw vegetables with yogurt or salsa dip. Entrées or Main Dishes: Choose lean meats, fish and poultry that are baked, roasted, broiled, poached, steamed, grilled, microwaved or lightly stir-fried. Use herbs and lemon juice to season meats. Avoid foods that are sautéed or breaded and fried. Trim visible fat from poultry or meat (preferably before it is cooked), and remove the skin from poultry before eating. Eat roasted chicken breast (without skin) rather than fried chicken. Blackened entrées are usually pan fried after being dipped in butter or oil and covered with spices. Request that only a small amount of oil be used. Request that sauces and gravies be served “on the side,” and have side dishes and sauces left off your plate. Eat fish without tartar sauce. Choose a green vegetable salad or a fruit salad as an entrée. Enjoy main dishes that include vegetables (e.g. stir fries, kebabs, or pasta with a tomato sauce). Limit cheese and cheese sauces in vegetarian dishes. Balance a higher-calorie entrée with a lower-calorie side dish and dessert (e.g. fettuccine alfredo with fresh fruit). Vegetables & Fruits: Ask that vegetables be cooked with little salt and no added fat, such as butter or margarine. Request vegetables be steamed (plain or with a lemon wedge), grilled or roasted. Enjoy sautéed vegetables or tossed salad rather than creamy coleslaw. Use salsa as a topping for a baked potato. Have steamed vegetables, rice, a baked potato or a fruit cup instead of French fries, onion rings, au gratin or scalloped potatoes. Salads: The average do-it-yourself salad bar plate can contain over 1,000 calories. This is comparable to a hamburger, French fries and milkshake or a steak-and-potato dinner. To control calories at the salad bar, use a small salad plate. Start with dark-green leafy vegetables (e.g. spinach and romaine lettuce), which contain more nutrients and phytonutrients than iceberg lettuce does. Top it with brightly colored vegetables (e.g. red and green peppers, broccoli and carrots), legumes (e.g. kidney and garbanzo beans), fruits and protein-rich ingredients (e.g. lean meat, turkey, tuna and eggs). Add low-fat cottage cheese for extra calcium. Go easy on the pasta, potato salad, macaroni salad, and other salads made with a sauce or mayonnaise-based dressing. Use sparingly the bacon bits, croutons, chow mein noodles, olives, seed and nut toppings, as well as salad dressing. Omit the cheese and creamy soups. Use a light or fat-free salad dressing. Or, request salad dressing “on the side” and use sparingly (approximately 2 tablespoons). To make a little salad dressing go a long way, drizzle it over the salad with a spoon. Lemon juice or flavored vinegar may be substituted as a salad flavor enhancer. Eat low-fat crackers or saltines instead of club crackers. Breads & Sandwiches: Choose whole grains most of the time. Good choices are whole-wheat buns, hard rolls, French or Italian bread, bread sticks, Melba toast and saltine crackers. If you must dip your bread, use healthful olive oil rather than butter or margarine. Better yet, eat plain bread and “dry” toast. Use whole wheat bread for sandwiches. Omit the chips served with a sandwich. Fats & Oils: Request that the restaurant use less oil when cooking. Ask that your food be prepared with vegetable oil (e.g. canola, olive, corn, sunflower, safflower or soy) or soft margarine instead of butter. Add little or no butter or sour cream to your food, and request that it be served on the side (e.g. for a baked potato). Soft margarine is a healthier alternative to butter but should also be used in moderation. Order food without butter, gravy or creamy sauces, or have them served on the side so you control the amount you eat. Desserts: Have a cup of coffee or tea instead of a dessert. If you want an occasional dessert, choose fresh fruits, sherbet, fruit ice or gelatin, angel food cake with fruit, low-fat frozen yogurt or cappuccino. Have the whipped topping served on the side. Limit desserts and high-fat pastries, and share a richer dessert with a friend. Instead of a piece of apple pie, order sliced baked apples. Bypass sugar-rich foods such as puddings, canned fruits in syrup and ice cream sundaes. Beverages: Don’t drink your calories. Quench your thirst without consuming large amounts of calories from sugar. Here are some healthy options. Water: Water is always a good drink choice. Add lemon or lime slices to make it extra refreshing and satisfying, or choose flavored water with 10 calories or less. Milk: Drink fat-free or low-fat milk, and use it instead of whole milk or cream in coffee or other drinks. Skip the milkshakes, but if you must have one, ask that it be made with skim or 1% milk to lower the fat but still provide calcium. Unsweetened Beverages: Drink unsweetened beverages, such as water, fat-free or low-fat milk, 100% vegetable and fruit juices, and drinks without added sugars (e.g. unsweetened iced tea, sugar-free or diet iced tea and lemonade). Limit fruit drinks that are not 100% fruit juice, as well as diet soft drinks. Avoid regular soft drinks, because they contain calories but no nutrients. Alcoholic Beverages: If you drink alcoholic beverages, do so sensibly and in moderation. Healthful eating guidelines recommend that a woman have no more than one alcoholic drink a day and a man have no more than two drinks a day. Alcoholic drinks are high in calories but low in nutrients. They may increase appetite and decrease control over how much is eaten. A low-calorie, refreshing alternative beverage is mineral water or club soda with a twist of lemon or lime. There are words and phrases that give you clues about how a food is prepared. Look for them as you read the menu, or listen for them when you ask questions to the server. Fat: These words mean the food is prepared lower in fat. Some restaurant meals contain an entire day’s worth of calories! You don’t have to pig out when you dine out. Here are some tips to avoid overeating. Start the day with a healthy breakfast, and you are more likely to eat well throughout the day. When possible, eat your main meal at lunch. Don’t skip meals to “save up” and splurge on a special lunch or dinner. You may get extremely hungry and overeat. If you’re doing out for dinner, eat a light lunch or cut back on calories tomorrow. Place your order first so that you won’t be influenced by what your meal companions order. Request that beverages, bread and tortilla chips be served with the meal, not beforehand. Sip on a calorie-free beverage until your meal arrives. Or, take a few chips on a plate or napkin, and then have the chips removed from the table so that you don’t overindulge. To help control hunger and feel satisfied sooner, start the meal with a salad, broth-based soup or raw vegetables, but limit dips and salad dressings. Watch your portions sizes, since today’s restaurants serve larger portions. On average, a typical plate of spaghetti is twice as large as it was 20 years ago. Three ounces of meat is considered a serving, but many restaurants serve king-sized cuts of 6 ounces or more. If you choose a 6-ounce steak, balance it with non-meat entrées the rest of the day. If it is hard for you to leave food on your plate: request a smaller portion; split an entrée with a family member or friend, or ask for a “to go” box and take home half of your meal to enjoy another time. You’ll save dollars and calories. Stay away from the “all-you-can-eat” buffet and salad bars, because you probably will eat more than you need. If you do go, however, use the small plate and limit yourself to two trips—once for vegetables, fruit and salads and a second time for anything else. Go easy on the pasta and potato salads. Order a “small” or “medium” portion from the menu. When your food is served, immediately pack half of it in a take-away container (e.g. “doggy bag” or “to go box”) to carry home, if you can refrigerate it within two hours. If you have a craving for something unhealthy, share an order with a friend. Look for these menu items and terms when choosing healthy ethnic foods. Cajun: boiled crawfish or shrimp; boiled or grilled seafood; Creole and jambalaya dishes; turkey or roast beef Po’ Boy sandwiches; red beans and rice without sausage. Chinese: steamed dishes (e.g. dumplings, rice, spring rolls, and whole fish); jum (poached); kow (roasted); chu (broiled); shu (barbecued); lightly stir-fried entrées; dishes with lots of vegetables and/or water chestnuts; Wonton or hot-and-sour soup; sweet and sour sauce, and dishes without MSG added. Substitute chicken for duck when possible. Don’t eat the crispy fried noodles. Enjoy the fortune cookie, because it has only 15 calories and 0 grams of fat. French: steamed mussels; mixed green salad with vinaigrette dressing; French bread; Bordelaise or other wine-based sauce, and lightly sautéed, crisp vegetables. Greek & Middle Eastern: appetizers with rice or eggplant; Dolmas (rice mixture wrapped in grape leaves); Tzatziki (yogurt and cucumber appetizer); roast lamb; shish kebabs; couscous or bulgur wheat with vegetables or chicken; chicken pita sandwich, and plaki (fish cooked in tomatoes, onions and garlic). Indian: steamed rice; Papadum or papad (crispy, thin lentil wafers); tikka and tandoori (chicken or beef); curries with a vegetable or dal base; shish kebabs; Gobhi matar tamatar (cauliflower with peas and tomatoes); Matar pulao (rice pilaf with peas); Chapati (thin, dry, whole-wheat bread), or naan (leavened, baked bread topped with poppy seeds). Italian: grilled; lightly sautéed; sun-dried tomatoes and crushed tomatoes; minestrone soup (with beans, vegetables and pastas); pasta primavera (with sautéed garden vegetables instead of cream); pasta with white or red clam sauce, marsala sauce (made with wine) or marinara sauce (made with tomatoes, onions and garlic); cacciatore (tomato-based sauce) dishes; piccata (with lemon juice and chopped parsley) dishes, and Italian ices. Japanese: steamed vegetables; grilled shrimp or vegetable sushi; chicken or beef teriyaki (grilled); nabemono (casseroles); sukiyaki; shabu-shabu; su udon, and sumashi wan. Mexican: spicy chicken; chicken fajitas (marinated chicken grilled with onions, green peppers, diced tomatoes, etc. with a soft corn tortilla); grilled shrimp, fish or chicken; taco salad or fajita salad (Don’t eat the fried tortilla shell, and ask for low-fat sour cream. ); rice and black beans; burritos; soft tacos; chicken or beef enchiladas with red sauce or salsa; baked or soft corn tortillas; salsa, picante, pico de gallo, cilantro, and jalapeno peppers. Thai: stir-fried dishes; broiled or steamed dishes, and fresh spring rolls. These ethnic foods are higher in fat, sodium and sugar and should be eaten in small amounts or avoided. Cajun: fried seafood and hush puppies; gumbo, etouffe and sauces made with roux (contains flour and fat as thickening agents); dirty rice (contains chicken gizzards, livers, butter, etc. ); red beans and rice with sausage. Chinese: sauces—soy, lobster, oyster and bean; some soups (e.g. egg drop); crispy fried noodles; deep-fried foods; pork-fried rice and MSG. Japanese: deep-fried, battered, breaded or fried; high-sodium marinades, sauces and salt; vegetable or shrimp tempura; tonkatsu; oyako domburi, and chawan mushi. French: olives, capers or anchovies; Paté; French onion soup; croissants; Hollandaise, Mornay, Béchamel or Béarnaise sauce; creamy “au gratin” potato dishes; rich, heavy entrées; chocolate mousse, and crème caramel. Greek & Middle Eastern: meat-stuffed appetizers; fried calamari; Baba ganoosh (eggplant appetizer); Gyro; Moussaka (lamb and beef casserole) and other creamy or cheesy entrées; Spanakopita (spinach pie with egg and cheese); baklava and other high-fat, high-sugar phyllo pastries. Indian: dishes prepared with ghee (clarified butter); Samosas (stuffed and fried vegetable turnover); Korma (braised meat with a rich yogurt cream sauce); curries made with coconut milk or cream; Pakora (deep-fried dough with vegetables); Saaq paneer (spinach with cheese cubes and cream sauce); sauced rice dishes, and fried or stuffed breads. Italian: creamy Italian dressing; antipasto plates; fried calamari; cheese or meat-filled pastas; casserole-type dishes; pasta with butter or cream sauces (Alfredo sauce); scallopine or parmigiana (floured, fried and baked with cheese) dishes; Italian pastries (cream cake); pizzas with double toppings of cheese. Choose vegetables (e.g. spinach, mushrooms, broccoli and roasted peppers) as toppings instead. Mexican: refried beans (often made with lard, a saturated fat); nachos; flour tortillas; full-fat sour cream and cheese; guacamole; quesadillas; chile rellenos; chalupas; hard shell tacos and tostadas (fried); burritos; chimichangas; flautas; carnitas (fried pork or beef) and chorizo (sausage). Thai: heavy sauces; fried spring rolls; deep-fried entrées, and dishes with coconut milk or cream. For more information on specific ethnic foods, go to the American Heart Association’s web site at www.americanheart.org and search for Tips for Eating Out. Or, check out eXtension’s Eating Out Smart: Good Eating Out Choices at www.extension.org. About 75% of restaurants provide printed nutrition information for their menu items in the restaurant, on their own Web site, or both. Some of the large chains have actually done a nutritional analysis on their menu items as prepared. Other companies use food composition tables developed by USDA or other sources to estimate the nutritive values of their products. Fatcalories.com contains “The Fast Food Explorer,” another online database of fast food nutrition facts. Look for coupons in publications such as newspapers, ValPak, Money Mailer, on web sites, etc. Take advantage of discount stores’ lunch specials, such as a huge slice of pizza with a beverage for under $2.50. Check out family-owned restaurants. They usually serve great food at a lower price. Share a large entrée at a restaurant, but make sure there is no “split plate” fee. If sharing is not an option, practice portion control by putting half your food in a “to go” box and taking it home for a meal tomorrow. Since a small child doesn’t usually eat a lot, order them a side dish and share some of your meal with them. Fill a toddler’s Sippy cup before going to the restaurant. Make a meal of an appetizer or soup with a side salad or vegetable. Appetizer portions are often as large as and cheaper than the same food as an entrée. Enjoy your entrée and skip the appetizer or dessert. If you are watching your weight or are a light eater, consider ordering from the children’s menu, which contains smaller portions at a lower price. Drink water instead of a soft drink, tea, coffee, or alcoholic beverage. On a special occasion, look for a restaurant that allows you to bring your own wine and one that has no tipping fee for opening and serving the wine. Eat out for breakfast or lunch, when most restaurants offer lower prices than at dinnertime. Take advantage of “Early Bird” dinner specials, and senior citizens specials, if you qualify. Both offer small portions for a lower price. Take advantage of the “Kids Eat Free” nights at many local restaurants. Using a meal coupon can double the savings. Work with other families with children to compile a “Kids Night Out” calendar or specials on kids’ meals in the area. Don’t take risks with your food. Be sure it is cooked to the right degree of doneness, and send it back if it isn’t. 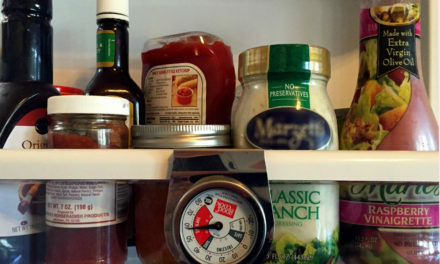 When taking home leftover food, refrigerate it within two hours from the time it was served to avoid possible foodborne illness. Otherwise, it is better to leave it at the restaurant. HGIC 3606, Leftovers contains more food safety tips. 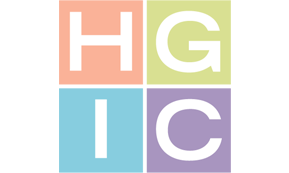 Refer to HGIC 4223, Fast Food & Take-Out Meals for information on fast food and delis.